The 2017 Nissan Frontier may be a light-duty pickup truck, but its specs and capacities have earned it a top spot on many drivers’ shortlists. Offering an array of configurations and powertrains, the Nissan Frontier delivers a sensible towing and hauling solution for Bremerton families and businesses alike. Whether you need a fuel-efficient pickup with a punch of power, or a brawny work truck, the Nissan Frontier’s performance seamlessly adapts to your needs. 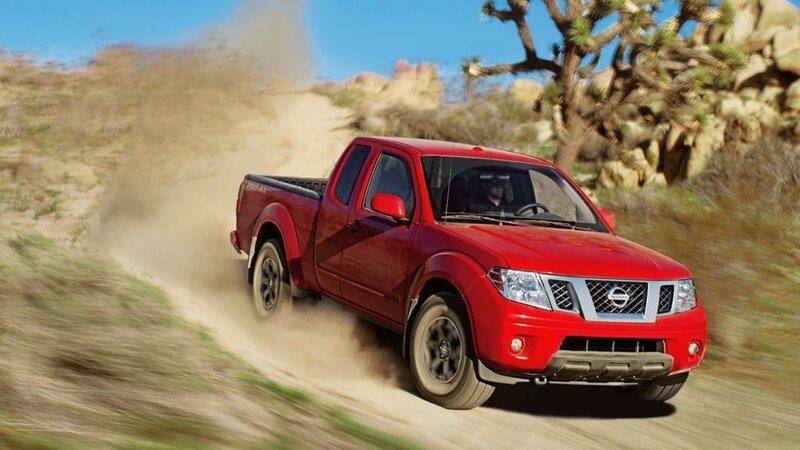 The new Nissan Frontier is available with one of two engines: a 152-hp 2.5L 4-cylinder or a 261-hp 4.0L 6-cylinder. Regardless of your engine choice, you’ll have access to a 6-speed manual or 5-speed automatic transmission for handling and fuel-efficiency to suit your preferences. Equipped with the available V6 engine, two-wheel drive, and the automatic transmission, the Nissan Frontier tows up to 6,710 pounds. The mid-level Frontier SV V6 Crew Cab with two-wheel drive and the automatic transmission earns the highest payload capacity of the bunch: 1,500 pounds. The 2017 Nissan Frontier is offered in King Cab and Crew Cab. The King Cab can be had with the 4-cylinder engine or the V6 engine, while the Crew Cab is compatible with the V6 engine only. Despite its strength, the Frontier never forgoes fuel-efficiency, even with the powerful V6 at the helm. Furnished with the 4-cylinder, two-wheel drive, and automatic transmission, the 2017 Nissan Frontier earns an EPA-estimated 17 mpg city/23 mpg highway. Models with the V6 and two-wheel drive earn just one mile per gallon less in the city.With so many performance features at play, the 2017 Nissan Frontier offers a sense of driver control that can’t be duplicated. Most of its trims are available with four-wheel drive, a Dana 44 rear axle, and a switch-operated two-speed transfer case. Standard for the higher trims, Bilstein performance shock absorbers enhance the Nissan Frontier’s inherent off-road prowess. The independent double-wishbone front suspension system keeps it firmly planted on the road, while engine-speed-sensitive power steering allows for nimbleness at low speeds. The 2017 Nissan Frontier’s performance never fails to astound—but don’t just take our word for it! Schedule a test drive at Advantage Nissan in Bremerton to experience it for yourself! We’re conveniently located at 5101 Auto Center Boulevard, and offer excellent financing options to drivers from Port Orchard to Gig Harbor. While you’re here, check out our guide to the types of Nissan engines.